Wear the Biobelt at work, for warmth at home, or even while you are relaxing in the living room. 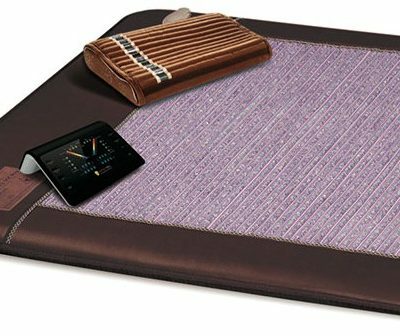 Using the same NASA technology as larger Biomat products, the Biobelt produces gentle, soothing heat and heals with the same negative ion and far infrared therapy. 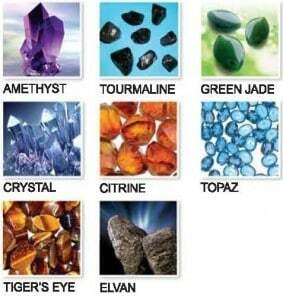 In addition to the amethyst and tourmaline found in the larger Biomats, the Biobelt also contains green jade, crystal, citrine, topaz, tiger’s eye, and elvan. 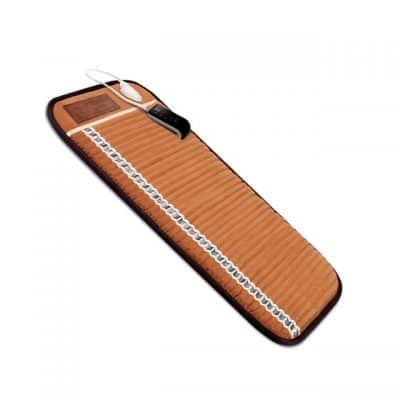 The Biobelt fits comfortably around the waist and is perfect for easing stomach aches and soothing chronic or acute back pain. Or lay it flat for a smaller back treatment or simply use it to warm your feet. 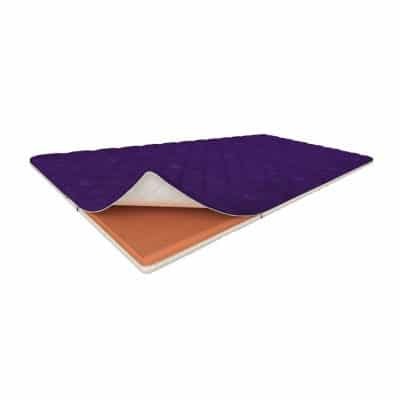 Regular Size: Can accommodate sizes up 54 inches (approximately 26 inch adjustable Velcro strap). Large size: Can accommodate up to 76 inches. 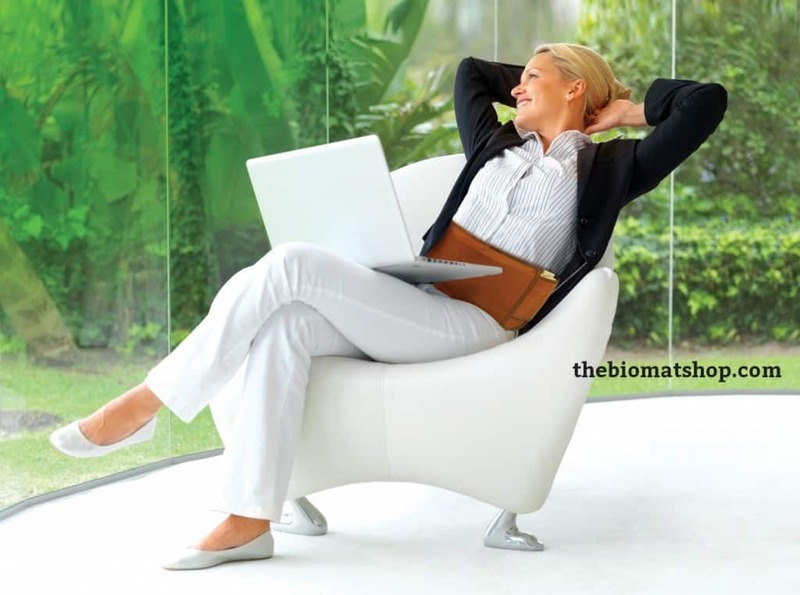 Many of our customers have wondered how they can make time for lengthy Biomat sessions they know they will benefit from, but they just simply do not have the time for a Biomat session in their life. The Biobelt is an easy solution for those living in a small space or those who are always on the go. 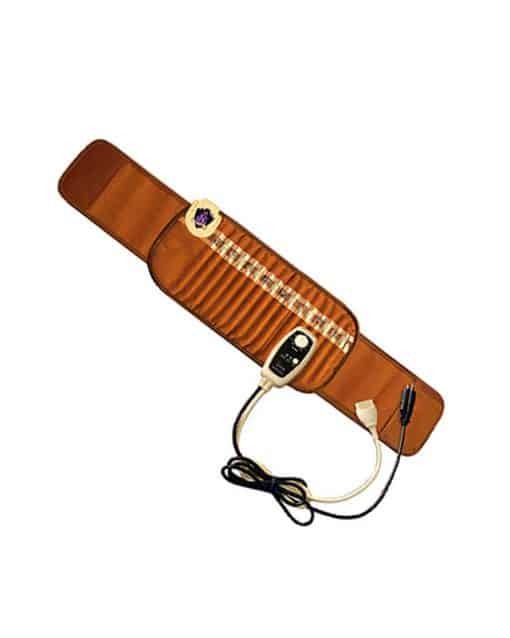 It is designed to wear comfortably around the waist and contains health-giving amethyst and crystals like the larger Biomat products. 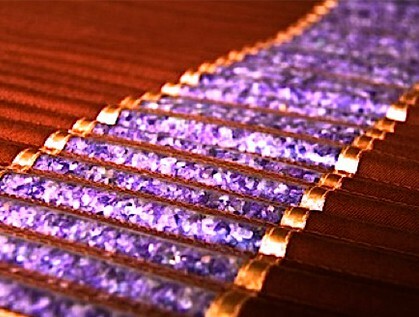 Tourmaline, found in all other Biomat products, generates negative ions. Negative ions are found in nature – in the air in forests and around moving water like the ocean, rivers, and waterfalls. When we are out in nature surrounded by negative ions, we usually enjoy a feeling of calm. Because the Biobelt generates negative ions, each session will help you feel grounded and at ease. 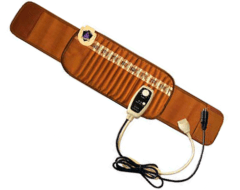 The Biobelt also generates warming far infrared rays that help to boost your body’s various systems. People who use Biomats consistently report increased immunity and energy, more balanced mood and sleep patterns, as well as a range of other health benefits. Large – up to 76", Standard – Up to 54"